Linda Czajka has over 30 years of experience in program management, domestic and international business development, corporate strategic planning, and organizational design and development. During her career, she has worked for and with many types of companies, including Fortune 500 companies in the United States and abroad. She assumed the role of President and CEO of Digitized Schematic Solutions, LLC (DSS) in 2010. Linda is also the President and CEO of XMCO INC. DSS and XMCO INC. make up the Technical Services Sector of Koniag. Linda has significant experience in helping both U.S. and foreign companies in the interpretation of requirements and preparation of proposals for submission to various U.S. Department of Defense agencies responsible for the acquisition of new and updated weapon systems of all types. Internationally, she has worked with a number of companies in Sweden, Germany, and the United Kingdom, and has represented those companies to senior military and acquisition officials in the United States. Linda began her business career in 1978 taking a position with the Chrysler Defense Engineering Division, now known as General Dynamics Land Systems Division. During her four-year tenure there, she was promoted into several supervisory and management positions, the last being Manager of the Technical Training Department. 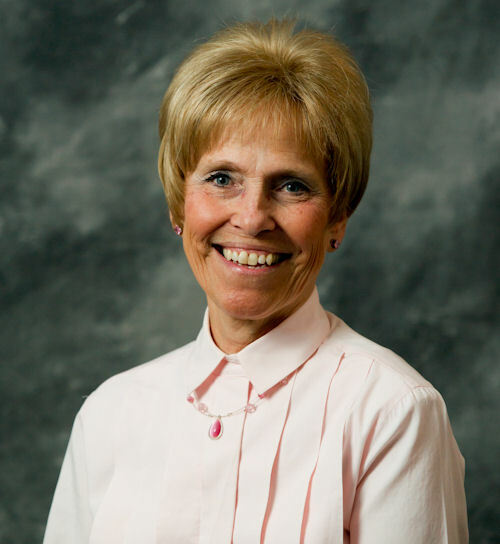 Prior to joining industry, Linda earned her Bachelor of Arts Degree from Eastern Michigan University and her Master of Science Degree from Wayne State University. She has developed and taught courses in business communications and organizational development at the Detroit College of Business and Wayne State University in Detroit, Michigan. Linda is a member of the Association of the United States Army and the National Defense Industrial Association. She has been nominated as one of Detroit’s Most Enterprising Women in Business in 2004. As the Vice President & General Manager for Digitized Schematic Solutions LLC, Margie is responsible for senior management oversight of all DSS contracts. Margie assumed the role of Vice President & General Manager in July 2010, but Margie has been with DSS’ product group since 1996. Margie brings 15 years of experience in program and/or senior management oversight and defines resource allocations, corporate milestone schedules and monitors contract performance to ensure corporate and client objectives are met. She is also responsible for new business development and prepares all proposal responses. Margie oversees day-to-day operations, provides leadership for all the staff and is involved in all aspects of the development of DSS’s core products. 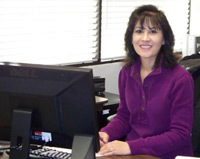 Margie has a Bachelors of Science Degree in Business Management from California State University, Northridge. As a Program Manager, Robb is responsible for the management and execution of a number of DSS programs including all U.S. Marine Corps and Army programs. His strengths lie in his attention to detail, strong customer interface, the ability to organize and manage multiple projects at once and his capacity to successfully complete programs on schedule and within budget. 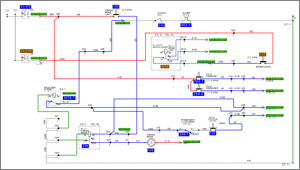 Because of Robb’s extensive experience is in all aspects of the Digital Schematic Tool Processing, he is key in ensuring that all processes run smoothly during the development phase. 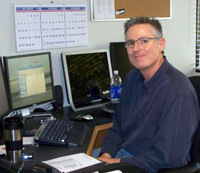 Robb‘s extensive knowledge of electrical and fluid functions are key in understanding and meeting all program requirements. Robb also supports in proposal development and Marketing.